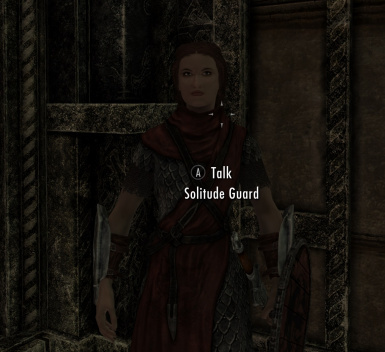 Wider variety of guard NPCs, including more females. UPDATE 2017-11-04: Version 5.2. Carry through USSEP changes. 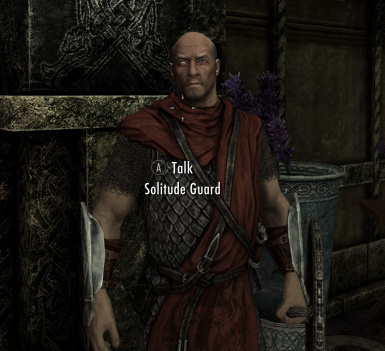 As with Oblivion, it seems that the job of being a City Guard or Soldier is mostly only available to males (the curious exceptions being Windhelm and Riften). 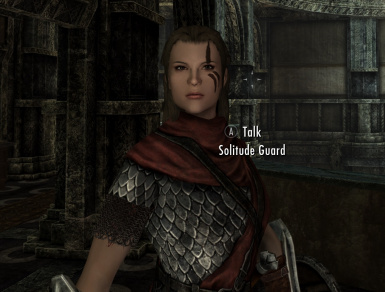 Furthermore, if you use a mod that opens the faces of guard helmets, you probably could not help but notice that many of the guards are the same. If you like a bit more diversity amongst those charged with keeping the peace, this mod may be for you. What this mod does is almost double the stock of basic NPCs that the game uses when it wants to spawn a new guard or soldier. 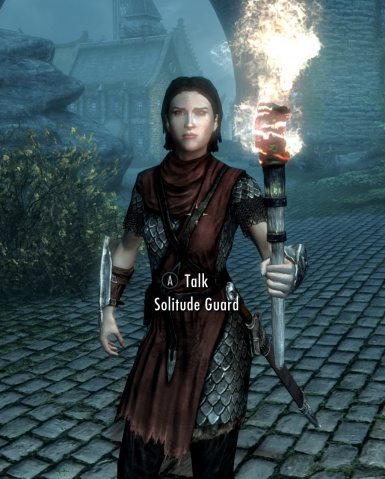 Furthermore, it makes sure that the stock of guards used for Solitude, Markarth and Whiterun (and other guards and soldiers in holds aligned with the Imperial faction) actually contain some female NPCs. There is currently little racial diversity, and actually I don't think there ever will be more - the Oblivion version of this mod did have optional racial diversity because Cyrodiil felt a much more cosmopolitan place, whereas Skyrim definitely feels as if non-Nordic guards would be out of place (the possible exception being an Imperial or two in Solitude, perhaps). Bethesda Softworks, for the game and Creation Kit. 2016-11-02: Initial Special Edition release. 2016-11-07: Update facegen textures to have mip-maps. 2017-11-04: Correct for USSEP drift.